Through 2014, Social Media Marketing is expected to grow faster than any other form of interactive marketing. Businesses that choose to pass on adopting this innovative marketing strategy are willingly limiting the reach and overall exposure of their brand. Creating an optimized and customized Facebook™, Twitter™ and other social media presence is the first critical step to achieving marketing success using social media. Link Building & SEO – Did you know that links to your site from social media sites have a significant influence on how search engines rank your site in search results? 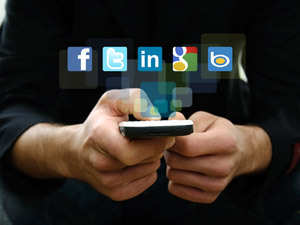 Our approach maximizes the influence of social media links on your search engine results. Extend & Grow Your Brand – Without a foothold in social media, you have a massive chink in the armor of your brand. Social media is a great way to extend and grow your brand to a growing audience who might not otherwise learn of your brand. Some companies have even built a brand using social media exclusively. Monitor Your Reputation – Going forward your prospects will rely on what others say about your business, much more than what you say about it. Monitoring and managing your reputation online is a fact of modern business, and without a social media presence you are defenseless. Engage With Customers & Prospects – There is no better platform to stay in touch with customers and prospects. Social media tightens the relationship you have with your customers like no other medium. Market Research – Social media is the perfect platform to quiz your audience and get their input on what they would like to see in terms of new features, products, services etc… Market research just got easier, faster and less expensive. Viral Marketing & Word of Mouth – The real power of social media is that it has a built in viral component. That doesn’t mean you will be the next viral sensation on the web, but it does mean that good products and services get some pass along and word of mouth endorsement that is natural in social media. Build An Audience – Just like building an in-house mailing list is vital to the success of your business, you can build equally powerful lists of fans and followers with whom you can broadcast a message quickly and at no cost. Because of the viral nature of social media, friends and followers of your fans and followers can also see your message. Social media has a powerful multiplier effect. Traffic – While it is still very early in the development of social media, and the intangible benefits are the primary rationale for social media today, it is not unreasonable to expect that social media can drive traffic to your site. Leads & Sales – Some industries are clearly more suited to social media than others, and may find direct social media marketing to be a significant contributor to leads or ecommerce orders. Some industries who aren’t as well suited for the direct approach may still be surprised by leads and revenue. All in all, in the twenty-first century, no organization can afford to not have a well strategized and well optimized presence in social media. It is a fact of business today. Companies and organizations who begin building a strong social media presence today will have a massive competitive advantage online in the years to come.